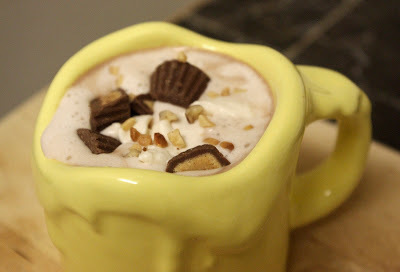 This recipe, in my opinion, is the ultimate relaxing hot chocolate. 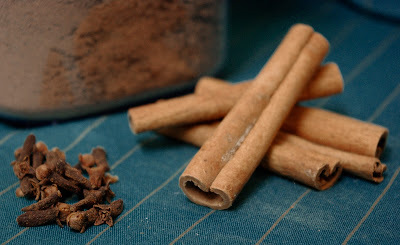 The "double spices" in the name are cinnamon and cloves. 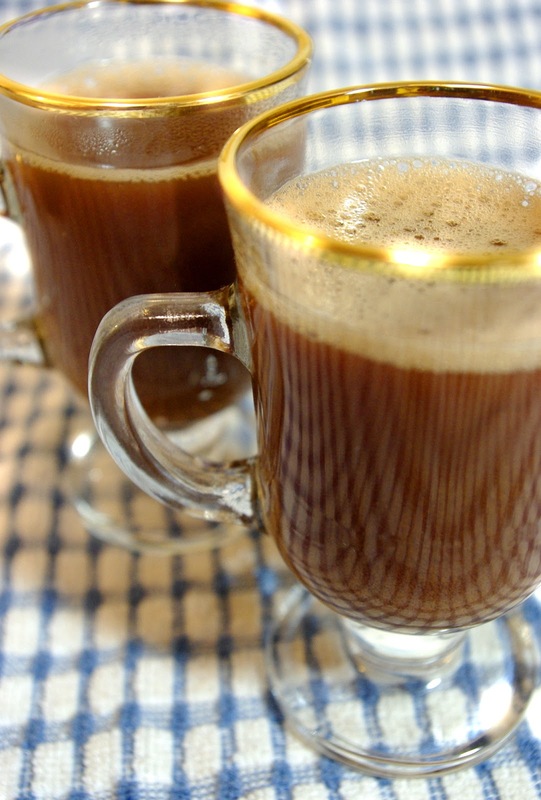 I was originally introduced to this recipe in Michael Turback's book "Hot Chocolate". There's a ton of great recipes in this book, and I'll be going over a lot of them. I've made a couple tiny changes to my version of this recipe from what he has in the book, but for the most part, they're close to the same. 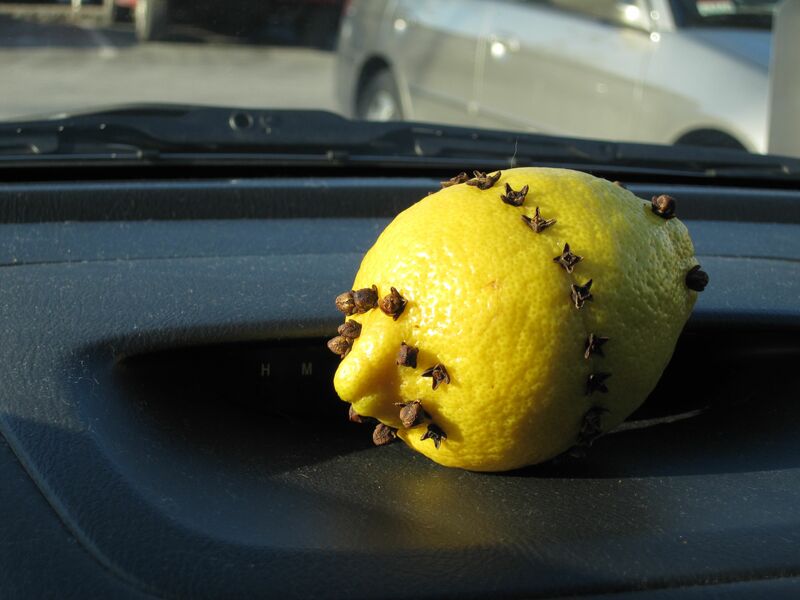 When I was growing up, every Christmas, my mother would push cloves into lemons and leave them in bowls around the house. It smelled so good! This hot chocolate captures a bit of that, along with the comfort of being indoors, nice and warm, on a cold night. 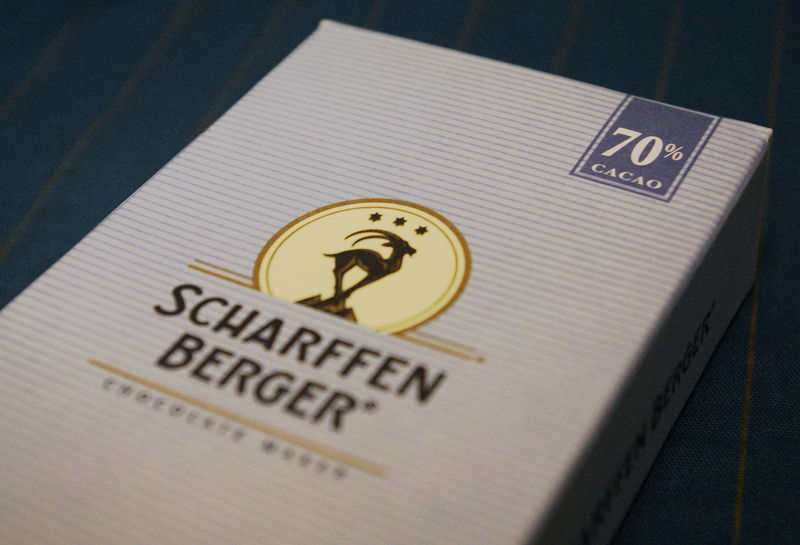 I'm using Scharffen Berger 70% bittersweet chocolate. This is my favorite chocolate to chop and use for hot chocolate recipes, both their 70% and their 62%. Where I live, I can usually find the bars in the baking section of some grocery stores. If they're not available in any stores by you, they are worth ordering online. For now, though, use whatever dark chocolate you have. I also made a whipped cream to top this with, since I've run out of homemade marshmallows. Just 1/2 a cup of heavy cream, and about halfway through whipping it I added 1 tsp of vanilla and just under 1 tbsp of powdered sugar. That's a tasty, basic whipped cream. Just whip it until it becomes fluffy. Usually I use my electric beaters and it goes pretty quickly. This time I tried it with a whisk. Ugh. Never again! Electricity is awesome. Heat up the milk, as usual, to just below boiling. While it's warming, I measure out the rest of the ingredients. The chocolate first, then I just drop the spices right into the measuring cup with the chocolate. Once the milk is ready to go, pour it all in slowly while whisking. That clove and cinnamon is going to smell strong and delicious! 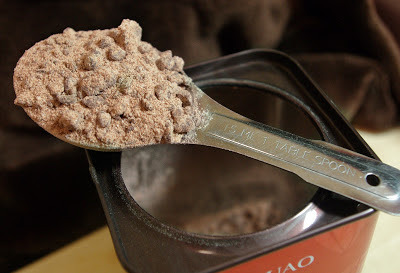 If it's too strong and thick for your tastes, try 2 oz of chocolate instead of 3 oz. I garnished it with the whipped cream, a little chopped chocolate, and a stick of cinnamon (which fell into the cup as the whipped cream melted). Served with some shortbread cookies, this is the most amazing thing when sitting down in the evening to read a good book or watch a favorite movie. 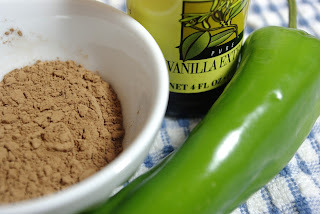 After trying out that recipe for ancient xocolatl, I thought I'd review one that showed just how far spicy hot chocolates have come in over two thousand years. The Hotel Del Coronado in San Diego is where I found this one. Chuao's Spicy Maya hot chocolate. While there on a weekend getaway, my girlfriend and I found a great chocolate shop on the bottom floor of the hotel, and this tin was just sitting there innocently. I purchased way more than I should have at that store, and I just couldn't leave this there without trying it. Peppers in hot chocolate was new to me at the time. Wow! This stuff is just amazing! Hot chocolate with some kick! 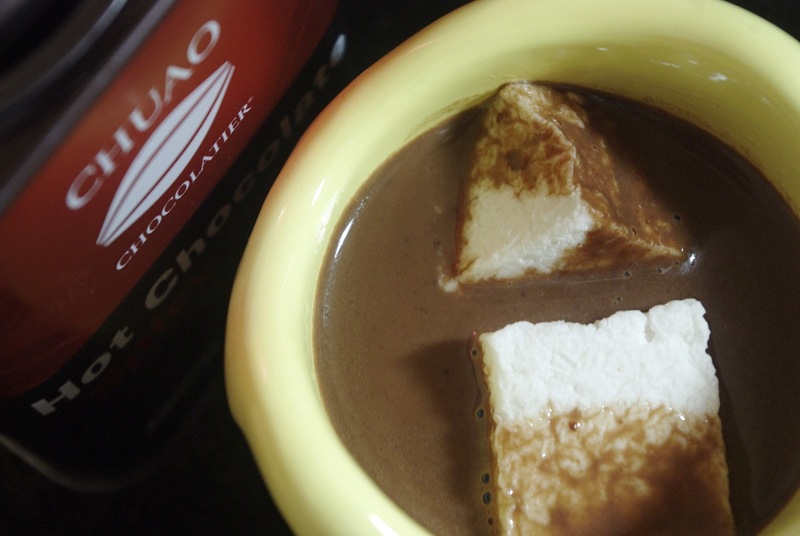 This is what a sweet, rich, spicy hot chocolate should taste like! I would later learn that Chuao Chocolatier (pronounced chew-WOW) is right there in San Diego, founded by two brothers from Venezuela, Master Chef Michael Antonorsi and Richard Antonorsi. 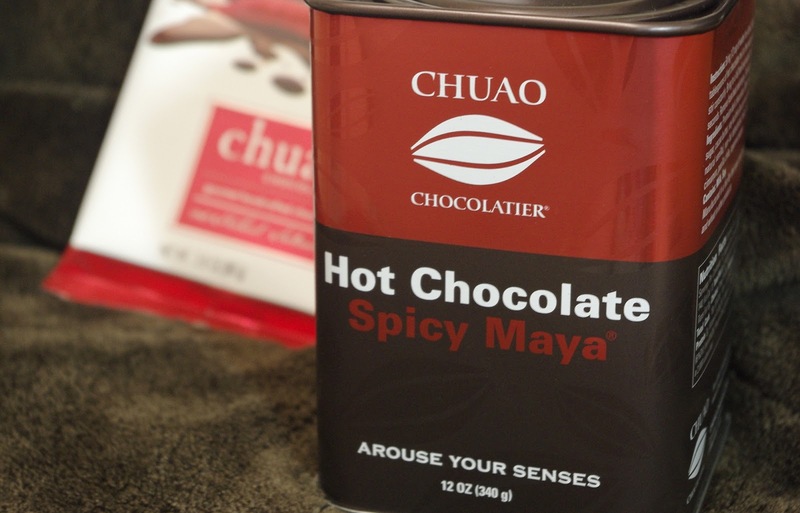 In 2011, Chuao won the sofi Awards Gold Award for Outstanding Hot Beverage with this firey chocolate drink. There's a couple peppers in this, pasilla chile and cayenne, but what gives this hot chocolate its kick is the cayenne. The xocolatl recipe I made previously used a green chile, which didn't have quite the heat that the cayenne pepper brings to this party. There's a very distinct difference! It's definitely got some heat, and you're going to feel it. If you're not a fan of spicy things, this may not be for you. I love spicy stuff, and this hot chocolate is just right. Not a relaxing cup of chocolate, this one's going to wake you up! Chuao has some chocolate cafes around San Diego county, so if you're down in that area, check them out. Around Los Angeles, I've spotted this hot chocolate in some Whole Foods stores, so keep your eyes open and check that cocoa section! Chuao's chocolate bars are pretty insane, as well. They have a potato chip bar, a honeycomb bar, maple bacon, and even a bar with pop rocks in it! There's a bunch more spicy hot chocolates out there I'm going to review in the future. If you like this one, stay tuned. There's a wide variety! When chocolate was first created from cacao beans over two thousand years ago, it was in the form of a bitter beverage served hot or cold. 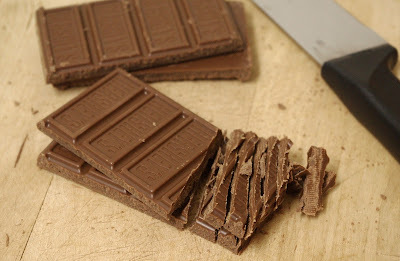 The first form of solid chocolate wasn't created until the late 18th century. So for the majority of chocolate's existence in human culture, we've been drinking it. The word "chocolate", according to Wikipedia, comes from Nahuatl, the language of the Aztecs. The word they used was "xocolatl", made up of the words "xococ" meaning bitter and "atl" meaning water or drink. 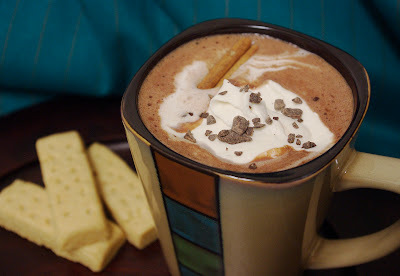 When I first began researching hot chocolate recipes, I came across some modern ones that attempted to recreate the flavor of those original hot chocolates created by the Aztecs and Mayans. As soon as I saw them, I knew I'd be making one! They sounded pretty bizarre for a hot chocolate. 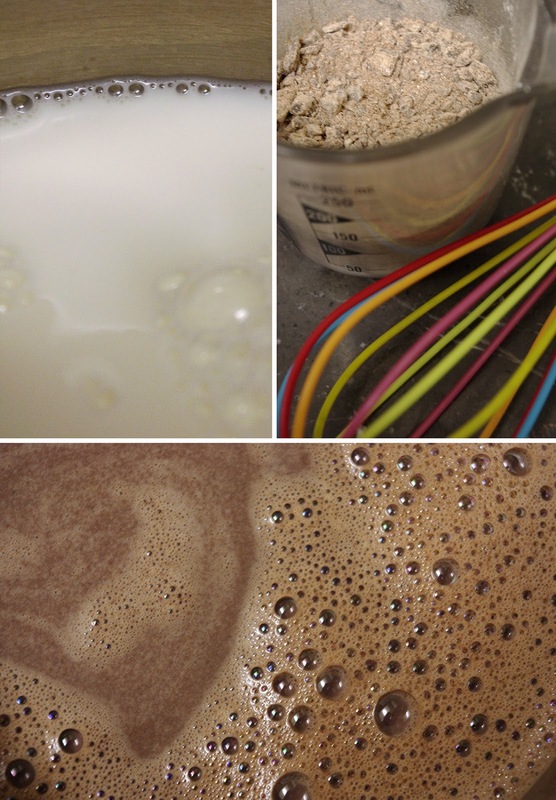 Let's get started making a modern version of the original hot chocolate! Looking at that ingredient list, you can see we're working with the same basic stuff that would have been available two thousand years ago. Cocoa, vanilla, and pepper. 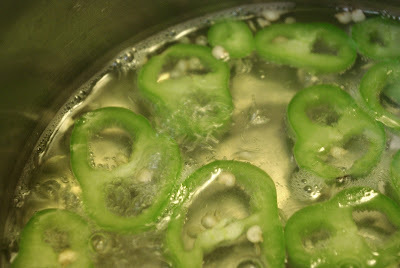 Put 3/4 cup of water and the sliced green chile (including the seeds) in a pot and bring it to boiling. Let it boil for 5-10 mins, so the water really takes on the chile flavor. Strain it to remove the chile and the seeds, then put the water back in the pot. Add in the other 2 cups of water, put it on medium heat, and bring it to a boil again. As it's heating up, whisk in the vanilla extract. The vanilla mixed into the pepper water smells really good! I was surprised, I didn't think it would be very appetizing. 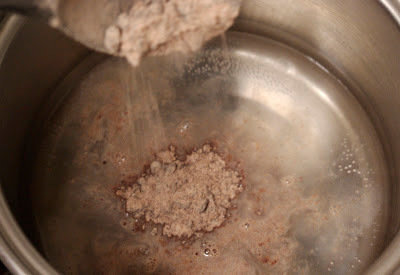 Finally, once it's boiling, add in the cocoa powder and keep whisking for another 5 minutes or so. You'll notice the mixture froths easily, but it's not a very thick froth. This one is probably the healthiest hot chocolates you'll ever come across. No sugar at all, and the only thing even close to a sweetener is the vanilla. 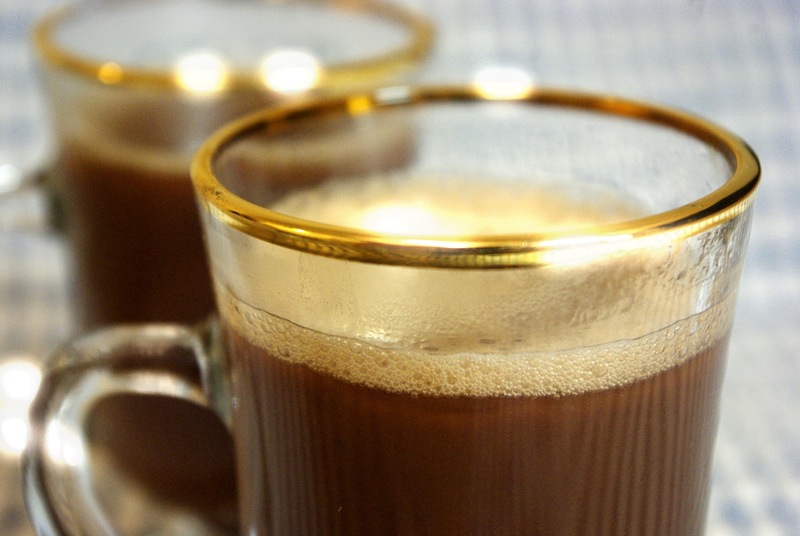 Unsweetened cocoa is actually very good for you. It has more antioxidants that green tea, blueberries, or wine, and can help lower cholesterol. However, this hot chocolate isn't what us modern folk would consider delicious. It's not as bad as I thought it would be, but it wasn't great, either. The chile adds an interesting flavor that works well with the cocoa, but this drink reminded me more of thin, bitter coffee than it did a thick, yummy hot chocolate. Hahahaha, in fact, after a few tastes, I didn't even want to drink all of it. I added in a few spoonfuls of sugar and it became much more enjoyable! If you want to sweeten it without ruining the healthier aspect of it, try blackstrap molasses or date sugar. Those are both amazingly healthy sweeteners! If you like this hot chocolate a lot, try it with the actual versions of the ingredients the Aztecs and Mayans would have used. Get some cocoa nibs and grind them up into cocoa liquor, and use a vanilla bean or two instead of the liquid vanilla extract. What a fun experiment! And now that we have an idea of where hot chocolate came from, we can really appreciate what the Europeans did for it by adding in sweeteners in the 17th century. And don't worry, the next recipe I post will be a sweet, delicious cup of creamy awesomeness! Everyone likes peanut butter cups, right? 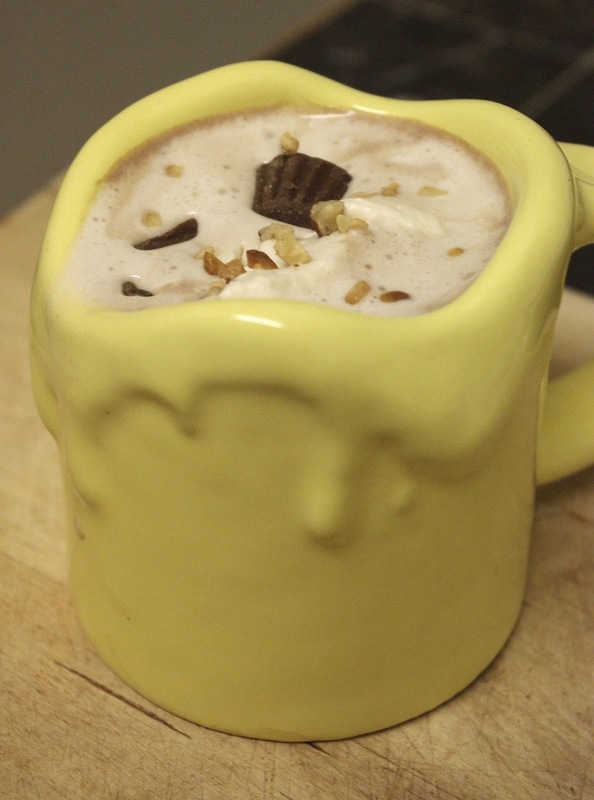 This hot chocolate is going to blow you away! So how do we capture that flavor in a hot chocolate? Milk or dark chocolate? 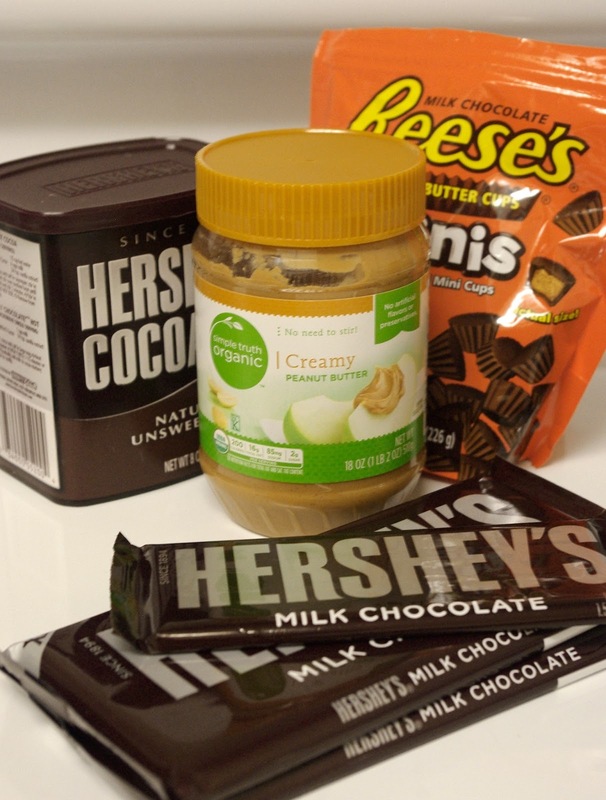 Is there a difference in flavor between the peanut butter inside a peanut butter cup and peanut butter from a jar? In a peanut butter cup, there are two separate flavors that only come together when you begin to eat it. How can we get the same two distinct flavors in a hot chocolate? I think the trick that solved it for me was cutting down the amount of chocolate used. 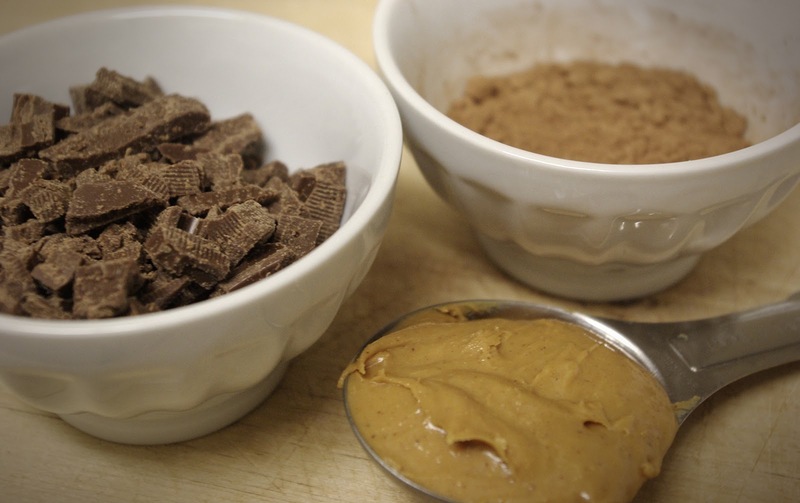 I originally was making a basic hot chocolate and simply adding in peanut butter. It always tasted burnt, or just way too dark and rich. To solve it, I tried it using both milk and water. I tried adding different sweeteners, but it quickly became overly sweet. Then it dawned on me that perhaps there's just too much chocolate flavor happening. I needed a better balance of the two, which meant removing some chocolate. I guess the Reese's people figured this out ages ago, hahahaha! There's also a few great garnishes we're going to put on this one! Let's do the garnish first. 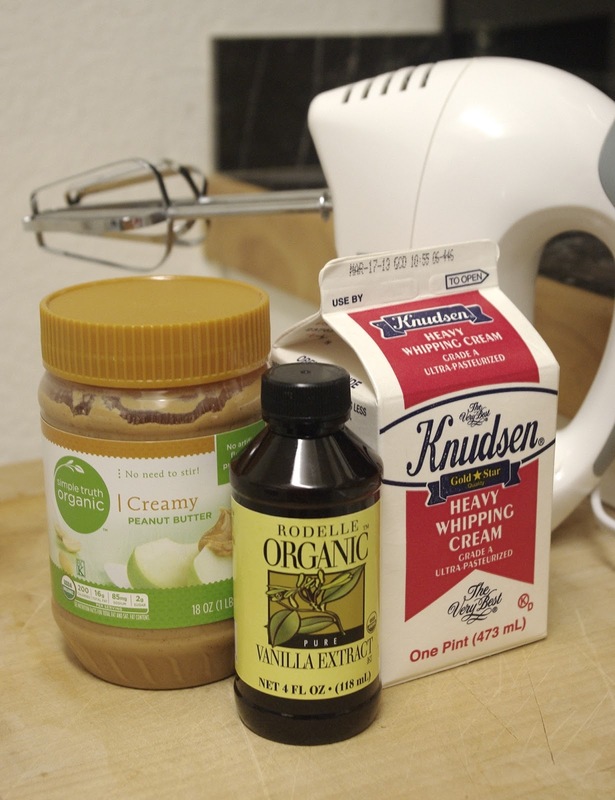 We're going to make peanut butter whipped cream! 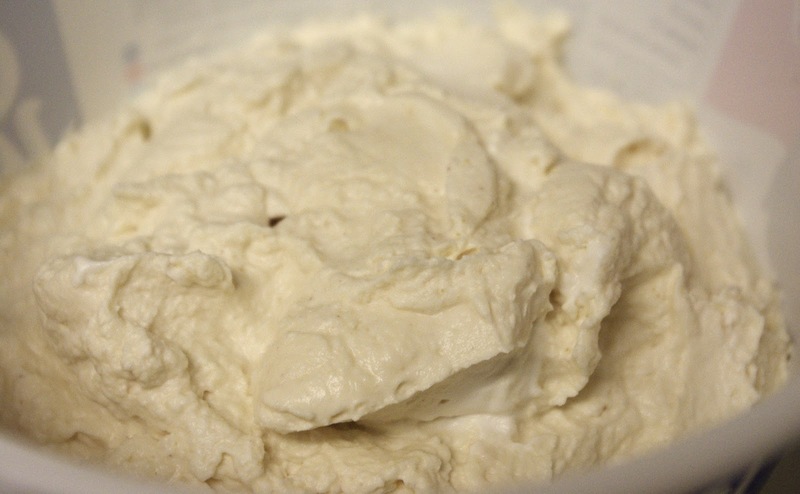 Using a mixer, whip the heavy whipping cream on high for a while, until it becomes less liquid and a bit bigger in volume. Add in the sugar and vanilla extract, and continue whipping until it begins to become fluffy. Then add in the peanut butter and whip a little bit more. It will be a little heavier than your average whipped topping because of the peanut butter. But taste it - WOW! Awesome, huh? Put this into a container with a lid and put it in the fridge while you make the hot chocolate. Chop that chocolate up good! The smaller you chop it, the faster it melts. Put the milk in a pot over medium heat. Bring it to just about a boil. You'll see bubbles appearing around the edges as it gets hotter. Don't let it boil, though! Just get it as close as possible. I keep mixing the milk as it warms so it heats evenly. 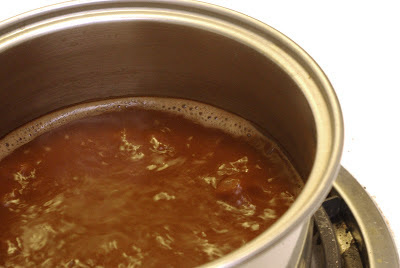 Once it's just about boiling, remove from heat and add in the chopped chocolate and the cocoa powder. 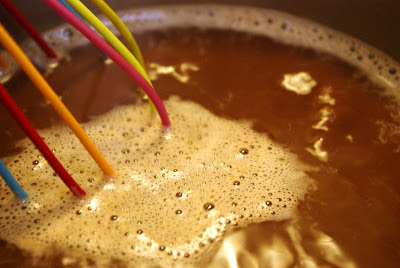 Whisk these until the chocolate is melted and the mixture is smooth and creamy. Then add the peanut butter and continue to whisk. At this point, I usually move the pot back onto the warm burner, just to make sure it stays nice and hot. Pour it carefully into a mug. You can either spoon on the peanut butter whipped cream, or you can put it into a baggie, snip a bottom corner off the baggie, and use that to apply it, as if you were icing a cake. The whipped cream is going to melt fast! Add on the mini peanut butter cups and some of the chopped nuts, and then brace yourself for an amazing hot chocolate! This one is so good, it's like a dessert all by itself! I did a bunch of variations while working through the different recipes. While I was doing it, I wondered if maybe coming up with just a hot peanut butter drink recipe would be fun. What do you think? You should be able to find Hershey's chocolates almost anywhere, from grocery stores to your nearest 7-11. If you can't find the Reese's Peanut Butter Cup Mini's, you could always just get the regular size cups and chop them up into pieces.